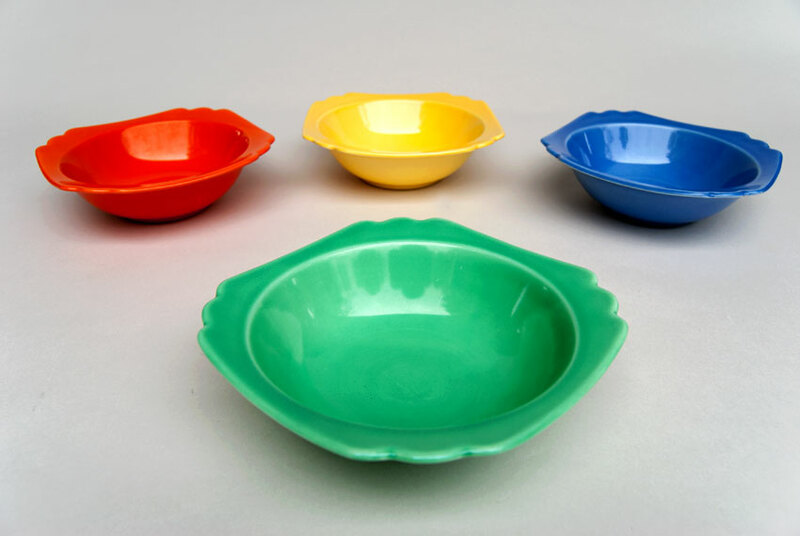 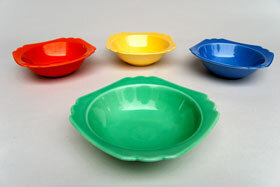 Circa 1936-1945: Riviera pottery was designed on the tailcoats of art deco and industrial influences. 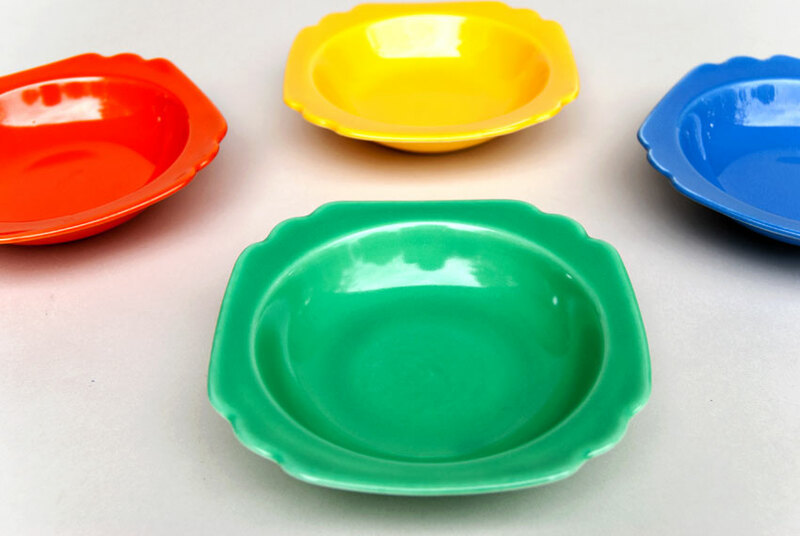 Adapted from the Century Ivory Vellum line and dipped in vibrant and cheerful solid color glazes, the understated lines of this great 1930s Homer Laughlin pottery will dress up the table. 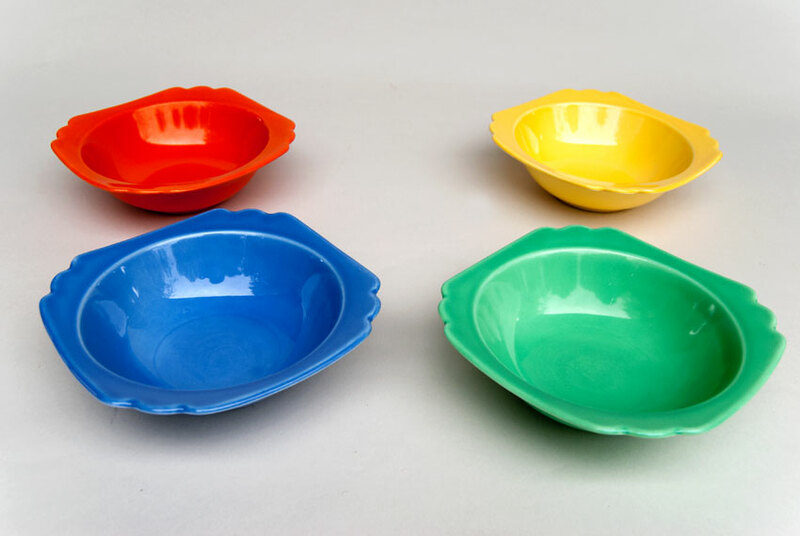 Scalloped edges and fully glzed, set in kilns by hand on little cones - these delicate pieces are quickly approaching 75 years old. 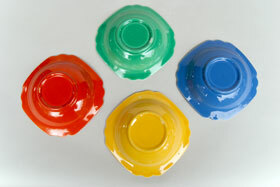 Shown here in the same original green used on the vintage fiesta pottery. In excellent, undamaged condition without chips or use.